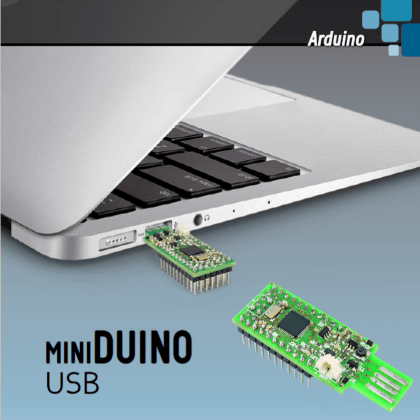 A small Arduino board with minimal hardware but with access to all I/Os, just like the Nano and equipped with PCB-integrated, direct-insertion USB connector: it is basically an Arduino Pen Drive. More details on Open Electronics project page. The main objective of this project is to design a maintenance free and low-cost light which automatically turns on and off at the predetermined time of the day. To meet the above requirement I designed this controller using ATmega8 MCU and DS1307 RTC. 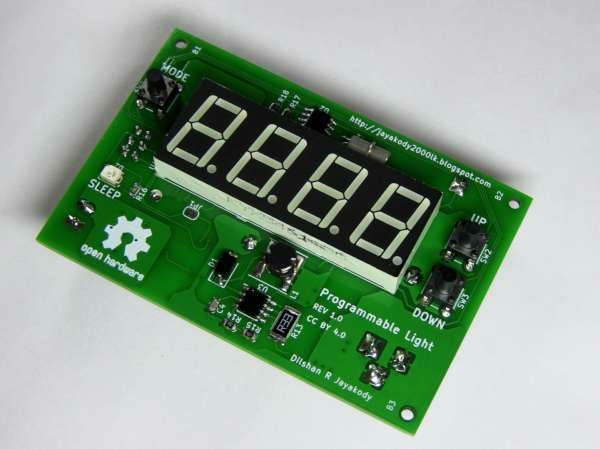 The driver stage of this light controller is intended to work with commonly available 7W LED modules. More details on his blog. 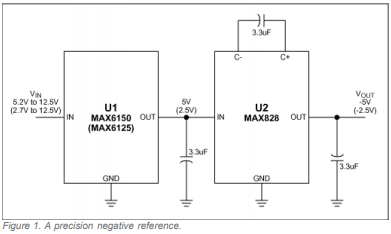 This application note discusses how to build a negative voltage reference without using external resistors or a negative supply by simply combining a simple charge-pump inverter and a positive output voltage reference. Low drop-out (LDO) regulators developed back in the age when large-capacitance multi-layer ceramic capacitors (hereinafter, MLCCs) were uncommon cause a phase delay, leading to oscillation when connected to a low-ESR capacitor like an MLCC. 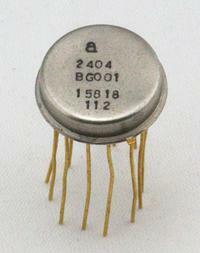 Often, MLCCs are used to save board space and prolong the lives of electronic components. A resistor placed in series in the circuit increases apparent ESR and establishes a phase lead that enable the use of an MLCC as an output capacitor. Phase margin measurement is practical on an LDO having variable output voltage, since its feedback loop is outwardly exposed. However, on a fixed output voltage LDO, the phase margin cannot be measured because of its closed loop circuit. I recently obtained a mysterious electronic component in a metal can, flatter and slightly larger than a typical integrated circuit.1 After opening it up and reverse engineering the circuit, I determined that this was an op amp built for NASA in the 1960s using hybrid technology. It turns out that the development of this component ties connected several important people in the history of semiconductors, and one of these op amps is on the Moon. In this project, I mount the electronics from my single-key USB keyboard project to the back of an industrial mushroom push button switch. 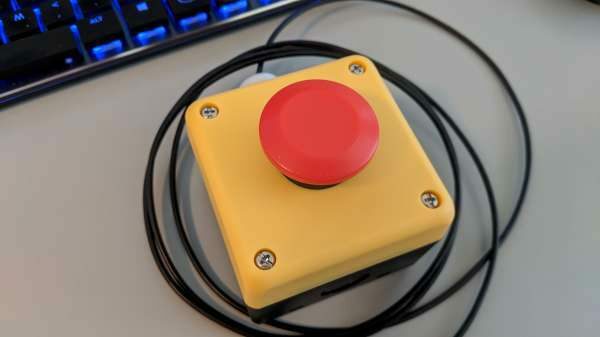 The finished big red button now activates my screensaver with a single overly-large button press. The biggest issues in this project were where to mount the USB electronics and how to connect the USB cable between the button and my computer. More details on Photons, Electrons, and Dirt blog. In this video, I build a 3D Printed Desk lamp. The basic design came from Thingiverse, but I repurposed my LM2576 Constant-Current design to serve as a dimmer. 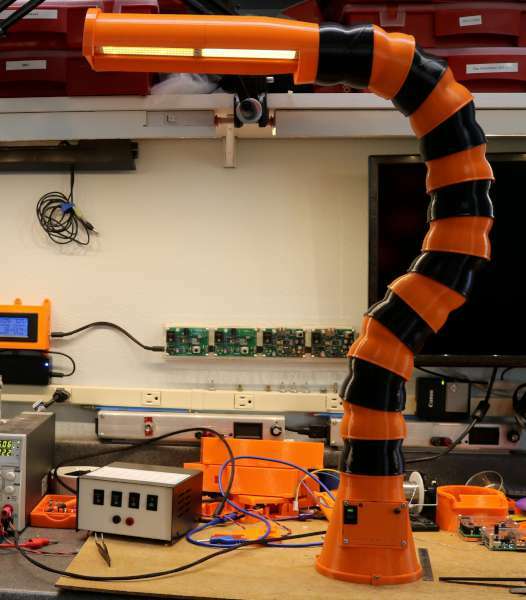 It all started when I found an interesting lamp on thingiverse, which used 75mm air hose segments from another model to make a flexible articulating desk lamp. What appealed to me about this project is the size of it, and the use of COB LED panels, which I’ve been wanting to experiment with. Every few years I revisit the idea of building an ECG machine. 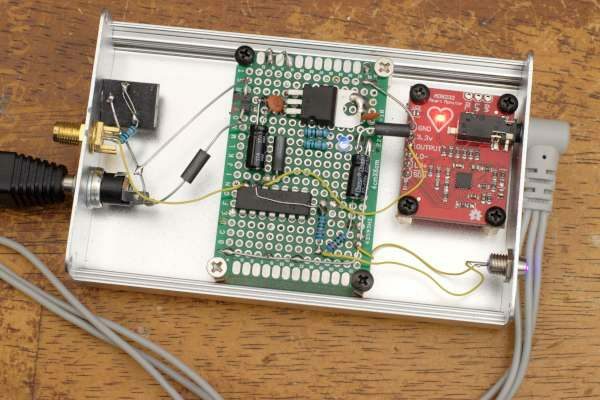 This time I was very impressed with how easy it is to achieve using the AD8232, a single-lead ECG front-end on a chip. The AD8232 is small (LFCSP package) but breakout boards are easy to obtain online. The Sony/Philips Digital Interface Format (S/PDIF) is a point-to-point protocol for serial and uni-directional transmission of digital audio through a single transmission line for consumer and professional applications. The transmission of data can be done in several ways, by electrical or optical means. The S/PDIFRX peripheral embedded in STM32 devices is designed to receive an S/PDIF flow compliant with IEC-60958 and IEC-61937, which define the physical implementation requirements as well as the coding and the protocol. These standards support simple stereo streams up to high sample rates, and compressed multi-channel surround sound, such as those defined by Dolby or DTS.